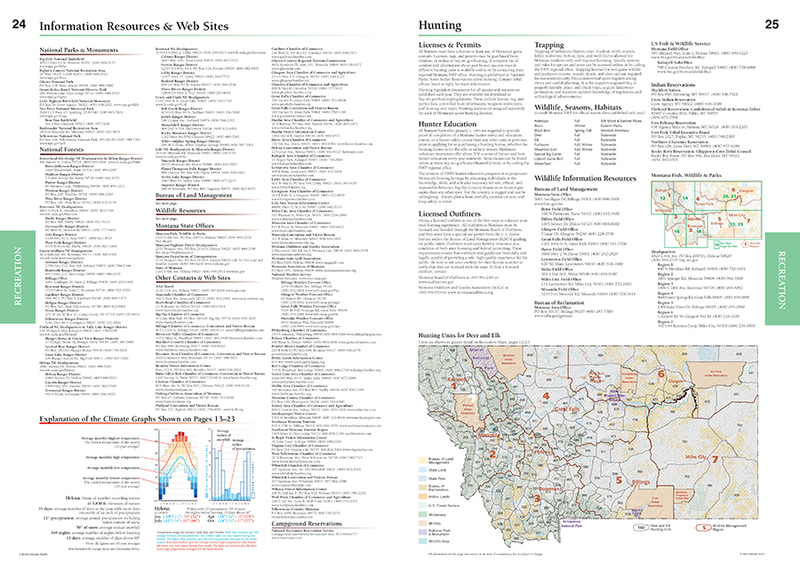 Benchmark field-checkers drove thousands of miles to make sure the Montana Road & Recreation Atlas is the most accurate, comprehensive, and reliable map product ever published for Big Sky Country. 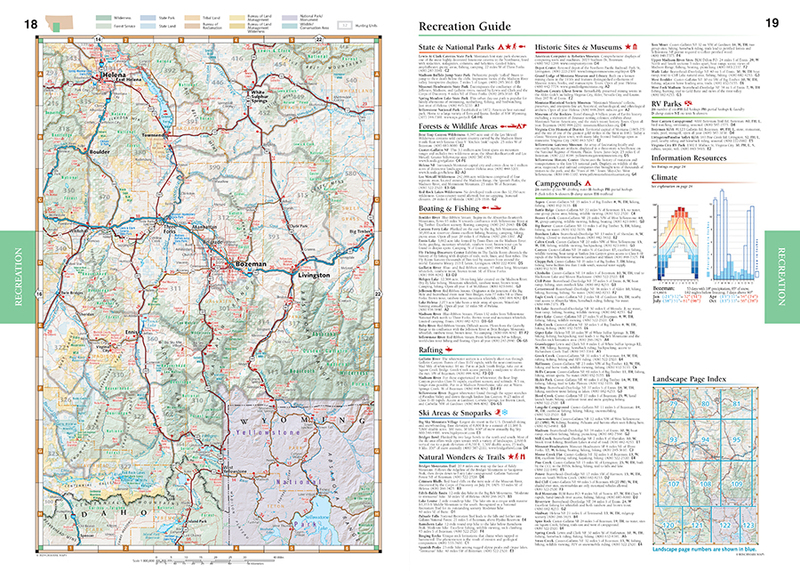 Map Scales:Recreation Maps 1:800,000 1" = 12.6 miles. 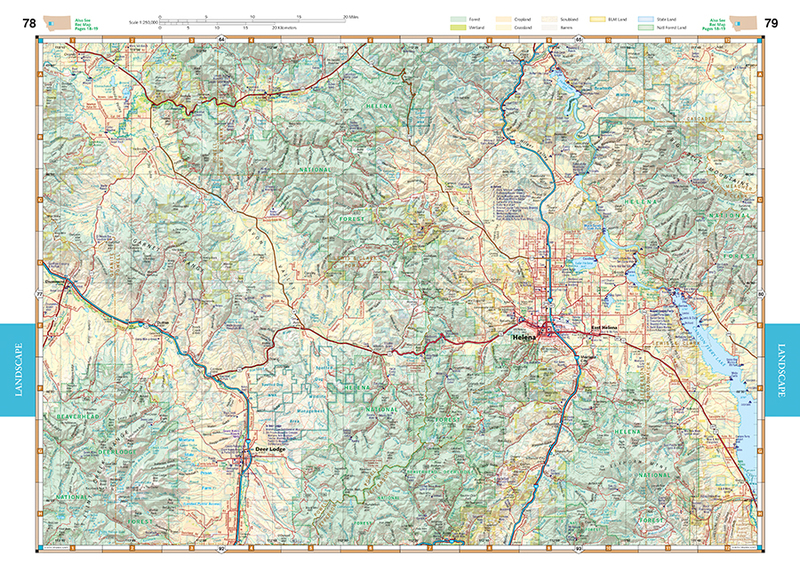 Landscape Maps 1:250,000 1" = 4 miles.